Uummmm - being a Texan - I love this one! Well done. 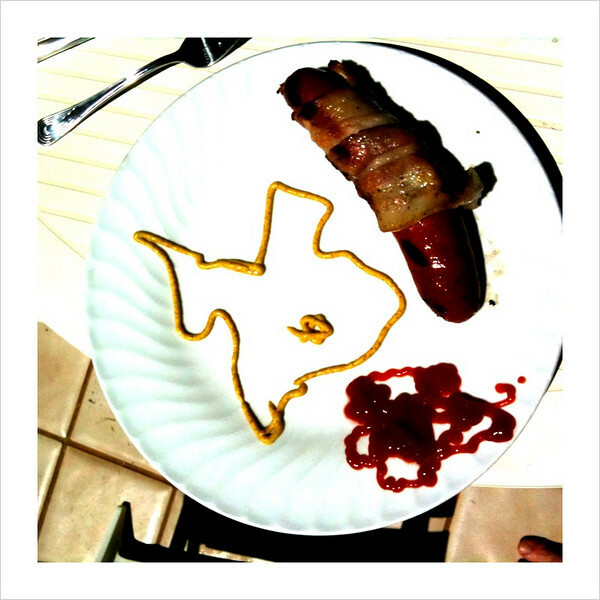 Whimsy on Texas. Very cute way that seems to say hello to us. Of course, the bacon wrapped hot dog is almost a barbecue staple here. Very appropriate.